Covers all the important aspects of the pronunciation of English. Takes a practical top-down approach—starting with the broadest issues, moving on to intonation and stress, then examining phonemes and the articulatory mechanisms. 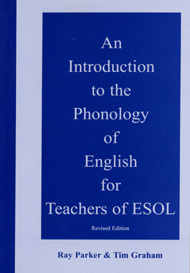 Includes an audio CD of recorded examples.